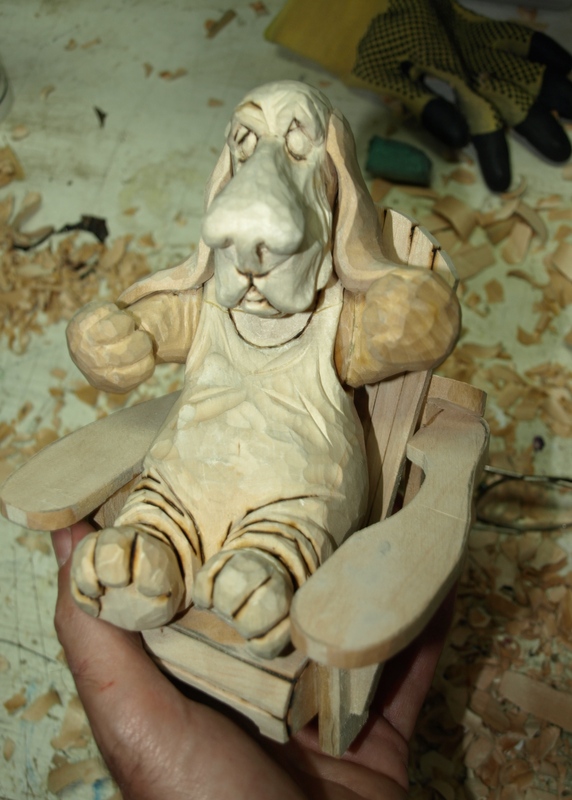 Did a bit of carving today on the little Basset’s ears. Although it’s officially the Fall, we’re still getting beautiful summer weather here in Kingston. I’m not complaining a bit as I’m also finishing up some painting outside. So far, I’ve painted three exterior doors and two garage doors. I did get a bit of a break in that I was going to paint the aluminum decorative shutters on the house but once I took them down to clean them…Peggy and I agreed that the house looked nice without them! So, no need to paint them…now that’s a treat! 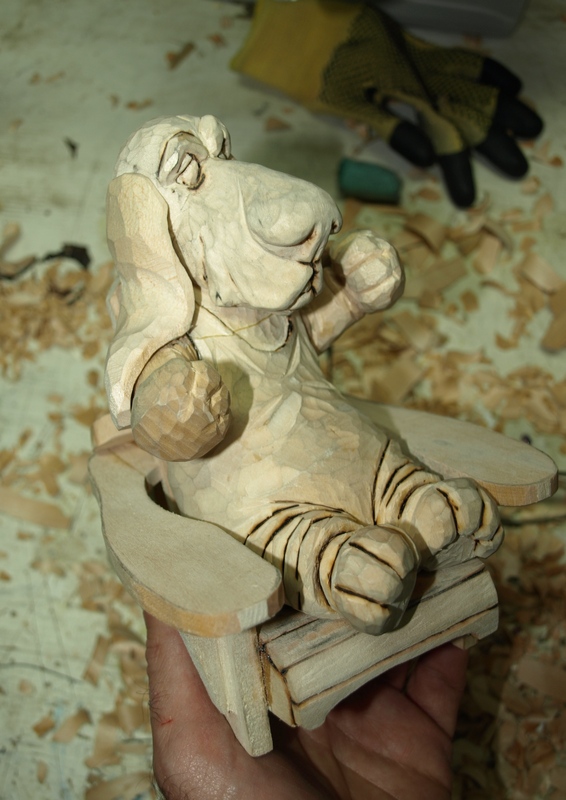 I followed my normal pattern of fitting the ears by first cutting out a block of basswood about the overall size of the ears. 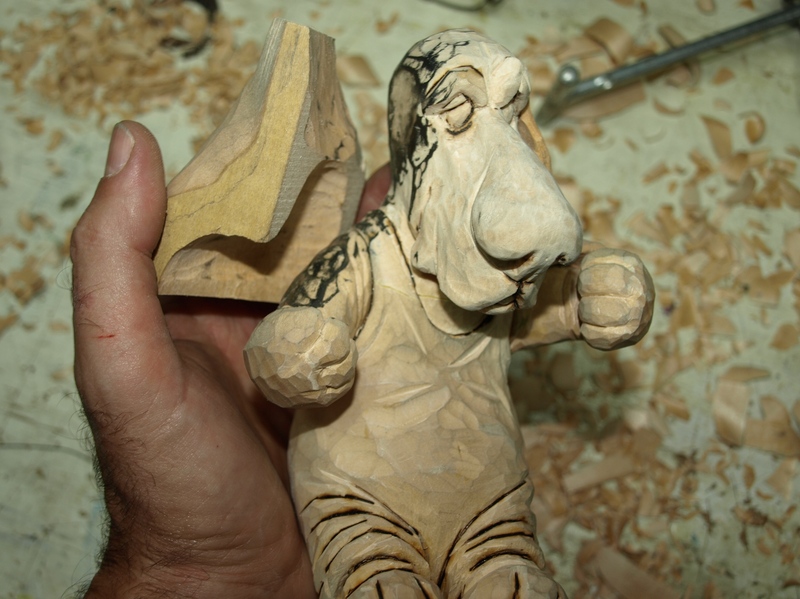 Then, by rubbing some pencil lead against the carving and leaving an impression on the mating part, I slowly carved the ears to fit the contour of the head and arms nicely. 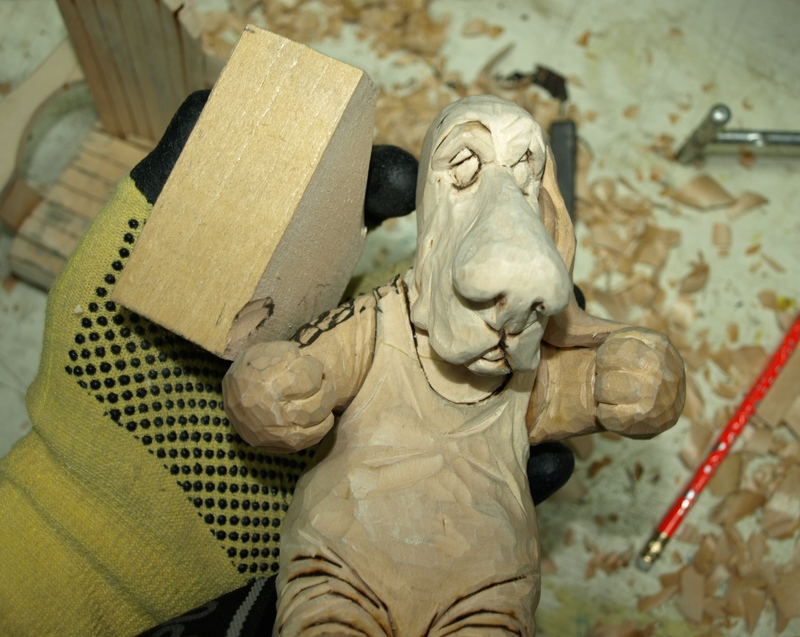 I’ll epoxy the ears in place next and then get started on his “hat.” You’ll get a kick out of that. Sounds like you have been very busy but nice to hear you are still getting lovely weather,enjoy it while it lasts.